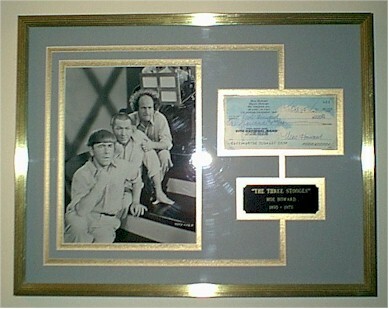 An incredible personal signed check from the Three Stooges Moe Howard. The check has been beautifully framed and double matted...One-of-a-kind!! !